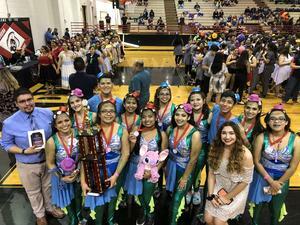 The 2019 TECA Winter Guard Championships were held on March 30 at Brownsville Rivera Early College High School. Heading into this contest, the group had been in 4th place, just outside of the medal positions. Following a couple of weeks of changes to the production and intense, focused rehearsals, the students earned their second silver medal in the last two years. This year’s group comprised of students from 10th through 12th grade, meaning that all students earned their second championship medal award. In fact, in the last two years, the Mission Winter Guard has only finished outside of the top three at any contest one time. This is a great feat of consistency and the seniors depart with a program in good shape to maintain as we look forward to next fall with the Mighty Mission Eagle Marching Band. The 2019 production was designed by Mr. Ralph Mendoza. Ms. Valeria Jaime and Ms. Isela Gomez worked tirelessly with the students to ensure their successes. 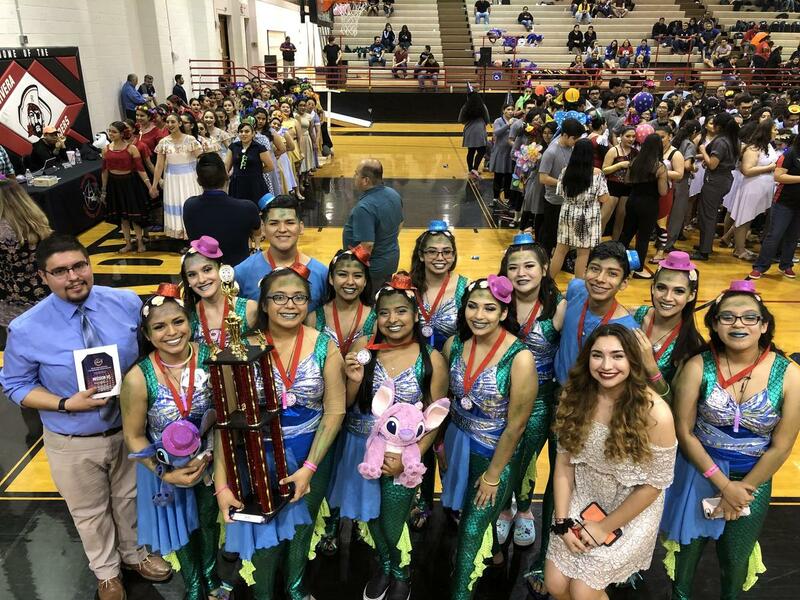 Mission High School Winter Guard members are: Samantha Farias, Diana Trejo-Garcia, Vanessa Zavala, Ruben Garcia, Bryan Chavez, Jetlynn Gonzalez, Jennifer Godinez, Alica Vargas, Alicia Lainez, Ashley Lara, Abel Martinez, Daisy Suarez, Julie Piña, Cristina Diaz, and Nyah Castillo. TECA is the Texas Educational Colorguard Association.